Audi’s seemingly never-ending quest to expand its model range hit a very sweet spot in 2007 when the A5 was introduced. Audi’s seemingly never-ending quest to expand its model range hit a very sweet spot in 2007 when the A5 was introduced. A neatly styled coupé aimed directly at competition like BMW’s 3 Series Coupé and the Mercedes-Benz CLK/C-Class Coupé, the A5 has been a tremendous success. Naturally the line-up has grown from a mere coupé, with a very smart Cabriolet version as well as a five-door ‘Sportback’ model. The A5 appeals on many different levels, not least as Audi has not been able to resist the temptation to put the badge on so many versions. 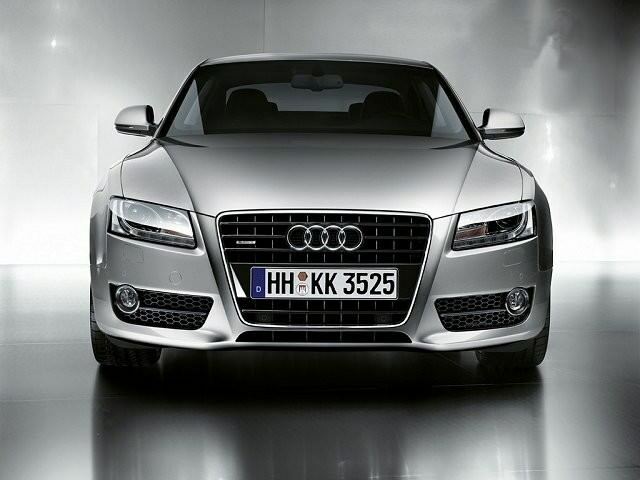 There are Coupé, Cabriolet and five-door Sportback versions, while performance derivatives include the S5 and RS 5. Forget them though, as they’re not as involving as the BMW and Mercedes-Benz alternatives and are expensive to own and run. The Coupé is a real looker, as is the Cabriolet but the real surprise in the range has been the Sportback - which adds rear doors and a hatchback. All come with an extensive range of engines, from a 1.8-litre TFSI turbocharged petrol unit to V8s in the sporting models. The 2.0-litre TDI makes the most sense, though the 2.7-litre TDI (and with the 2010 facelift a 3.0-litre TDI) make for big pace matched with surprising economy. All but the 2.0-litre TDI are offered with quattro four-wheel drive, with a range of manual and automatic transmission options - the autos being either a CVT Multitronic or dual-cutch S tronic. Specification levels follow Audi’s standard, SE and S line trims, the latter gaining sharper exterior looks and firmer suspension. Equipment levels in all are respectable, but look out for cars where buyers have been busy ticking the boxes for desirable options. A six-speed manual 2.0 TDI Coupé in SE guise makes a good all-round buy. That is unless you need more space, which would require the Sportback. Either way, they’re enjoyable to drive and return sensible economy and tax-friendly emissions to keep running costs reasonable. All feel beautifully built inside, while the Coupé’s rear seats are actually quite useful and the boot is decently proportioned, too. SE spec also brings everything you’ll want and need specification-wise. Slightly larger than its BMW competition, the A5 Coupé brings some practicality to a class where that’s rarely a consideration. That does add to its appeal though, as, along with its fine looks and lovely interior, the A5 makes for a talented all-rounder - whatever body shape you go for.